It’s a double review, not going to do this very often and I am only doing it for these two because they are made as a companion to each other. Both of these films show a very realistic portrayal of the battle of Iwo Jima and deserve great praise for acting and visuals when considering the relatively low budget of the two films. 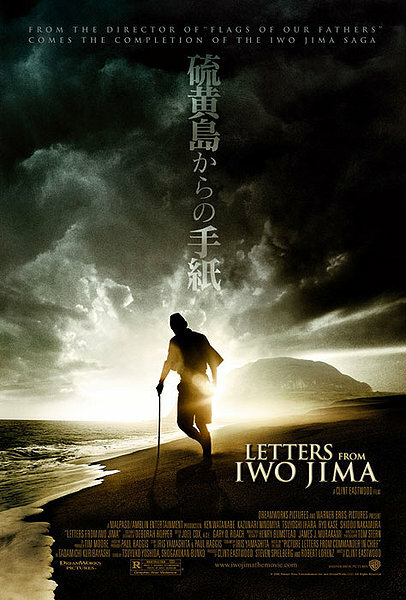 In saying that I find Letters from Iwo Jima better to watch and I also view it as a much better film in general. 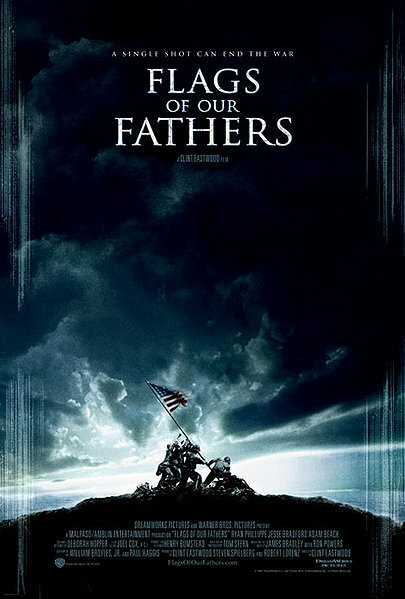 Clint Eastwood’s adaptation of the non-fiction book Flags of Our Fathers concerns the lives of the men in the famous picture of soldiers raising the American flag over Iwo Jima during that historic WWII battle. Battle scenes are intercut with footage of three of the soldiers – played by Ryan Phillipe, Jesse Bradford, and Adam Beach — who survived the battle going on a goodwill tour of the United States in order to sell war bonds. The main characters where very good at being the soldiers and general military personal which was a great and realistic, however I have to say the main reason this film doesn’t get a higher score is its insistence of going over and over the same thing in flash backs and the battle of Iwo Jima. Let me explain what I mean, the flash backs involving the struggle of the soldiers return to life after fighting was fine but then it kept going on about the exploitation of flag raising and how this effected the soldiers, after a while I just couldn’t care less about it. The rest of the cast do a great job with the fighting and battle scene but to fair even they were pretty short and far apart compared to the frankly boring flash backs. The special effects were very impressive with a relatively small budget and showed some great explosions and gun fights plus demonstrations of WW2 warfare tactics from both sides, somebody did there research. Now then the main plot idea of studying the flag raising and conspiracies involved was an ok idea but I think that the flash backs ruined it for me. The plot was fairly clever and well presented. My favourite scene would be the storming of the beaches because it involved a lot of effects and tactics that I love to see a good war film, plus for that scene didn’t have any flash backs or anything else it was just played out until the beach was taken. In 1945, World War II was in its last stages, and U.S. forces were planning to take on the Japanese on a small island known as Iwo Jima. While the island was mostly rock and volcanoes, it was of key strategic value and Japan’s leaders saw the island as the final opportunity to prevent an Allied invasion. Lt. General Tadamichi Kuribayashi (Ken Watanabe) was put in charge of the forces on Iwo Jima; Kuribayashi had spent time in the United States and was not eager to take on the American army, but he also understood his opponents in a way his superiors did not, and devised an unusual strategy of digging tunnels and deep foxholes that allowed his troops a tactical advantage over the invading soldiers. The main characters where very good and give this film a great realistic view from the other side of the war, which is very rare when viewing from the side of Japanese. The two main characters who I believe are the General Kuribayashi and Saigo a private make great leads that are at times fun and other times really make you feel for them being in the terrible positions they end up in. The rest of the cast do a great job with Tsuyoshi Ihara doing a brilliant job as an officer who before the war won a gold medal in US Olympics in show jumping. 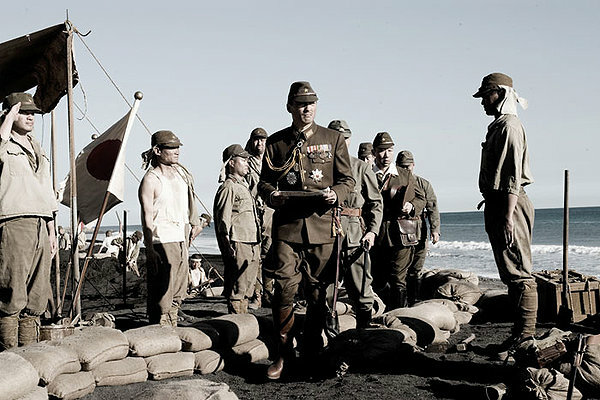 Unlike in flags of our fathers this film’s flash back aren’t directly linked to the current events but add to stories of the main characters, from Lieutenant Ito’s being on the island because he decided not to kill a dog for barking to General Kuribayashi life when living in America really works to develop the character base. This film is so much better than flags of our fathers. The special effects were clearly sourced from the first film and so could keep the budget down, but does have its own set of effects which to be honest are at times more effective of telling the story. The suicide scenes with the grenades were particularly strong and shockingly realistic and how that would look. Now then the plot, miles better than the first with a better grasp of the whole point of flash backs when making a war film. Saigo was a young man with no choice and who wanted to get back to his pregnant wife; you get his whole story in this film in a very small amount of time because it’s the same story for a lot of young men in this war on both sides. The plot was fantastic and I loved the whole thing, parts made me laugh and parts made me sad which makes this a fantastic war film. My favourite scene would be when Nishi Baron reads out a letter he finds from a soldier he tried to save and even talked too about his visit to the Olympics as a show jumper, the letter was from the Americans mom and he read it out too his troops which really felt like an emotional highlight of this film, also demonstrating the similarities to both sides. No votes on which film is better, it’s Letters from Iwo Jima. For I have spoken!